There are many people who always try to do things their way. They either love DIY or they are just too stubborn to admit that they need to call a professional! While sometimes their efforts actually pay off, in other cases things end up in disaster! It seems that some individuals need to learn the hard way that DIY is not their thing and they just need to accept this fact. Everyone who owns a house would like to have a nice pool in the backyard. Of course, this is a costly feature and the majority of people cannot afford it. The maintenance costs of a pool are also something to consider! Of course, enjoying it is definitely worth the money! However, if you cannot afford it, you may try to build your own version. 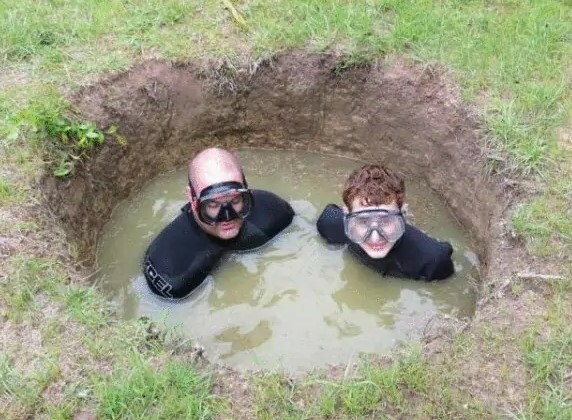 These men made an attempt to creating something that resembles a pool, but we guess that this tiny mud puddle is not even close to a real pool. At least they seem to enjoy it! Not all DIY tasks involve making something. Sometimes you need to do something that may require professional assistance because of the scale of the project. Of course, every time you need to call a professional you will definitely feel a hole in your pockets. This is the most common reason why people decide to skip calling for professional help and do things on their own. 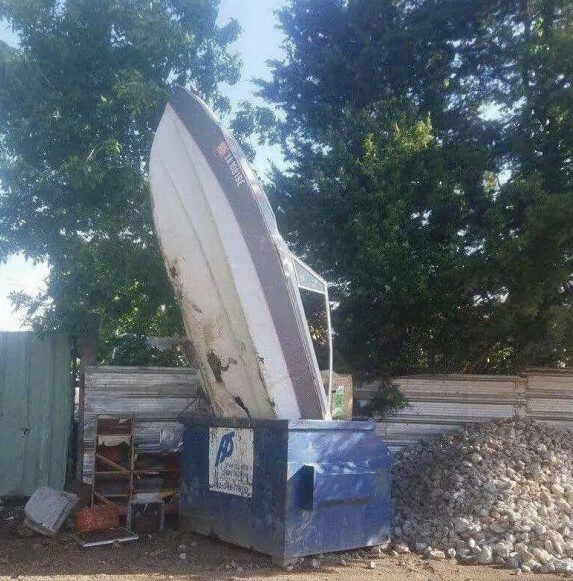 As you can see, someone decided to throw away a real boat inside a regular trash bin, which is insane! This thing is the pinnacle of all homemade antennas! 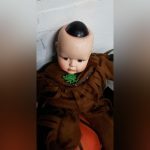 We cannot believe that someone actually did this, but you can see that it is very real! 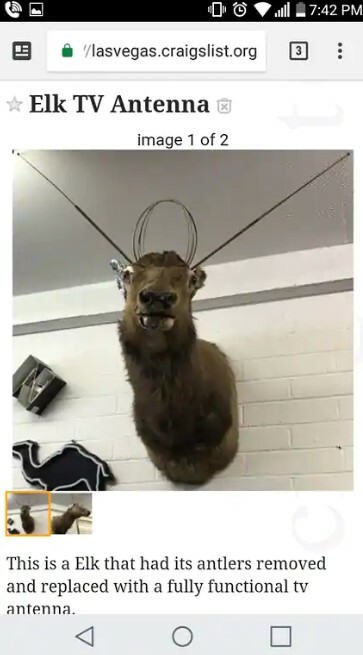 The antlers of this moose head were removed in order to turn it into a functional TV antenna. We have no doubt that the setup works. What matters the most here is the ridiculous way the end result looks like! We guess that as long as the owner is happy, the whole thing is a success. The majority of people love the conveniences which technology brought us. One of the most common tech gadgets that make our lives easier was invented decades ago! Of course, we are talking about remote controllers! This is a neat invention, but it can also be developed further! The latest versions of these clever devices can combine a lot of functions and can control everything in your home. Someone obviously decided to create a combined remote, too, but it seems to be a bit rough around the edges. This may not look like much, but it is actually a really clever idea. We have always liked these bags of chips and we never thought that we can do this! 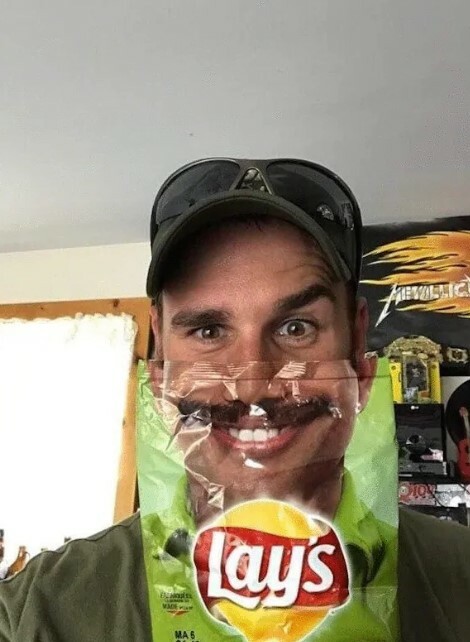 This man was able to blend with the face on the bag of chips in an almost perfect way! We wonder if he is really the face on the package or not. The photo idea he came up with is really funny and he could use it for his social media profiles. We bet that the majority of people would like it. Crocs are a controversial type of footwear even in stock form. The fact that someone customized a pair of them and added steel plating on the toe area blew our minds. There may actually be reason for these to exist, but we are not aware of it. The funny add makes everything even better. 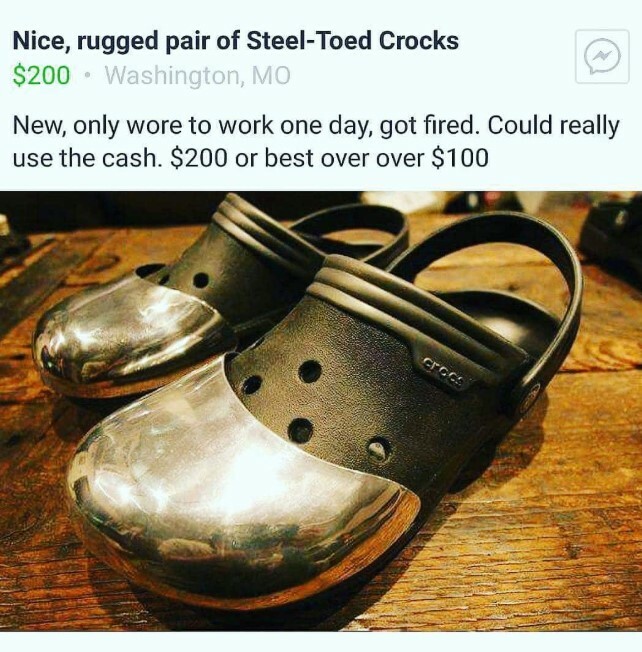 Nobody would believe this person that they actually wore these to work and got fired because of them. Of course, this story draws attention and the crocs were probably sold fast. We know that people have a lot of different preferences when it comes to food. However, there are certain things that most people would agree on for sure. 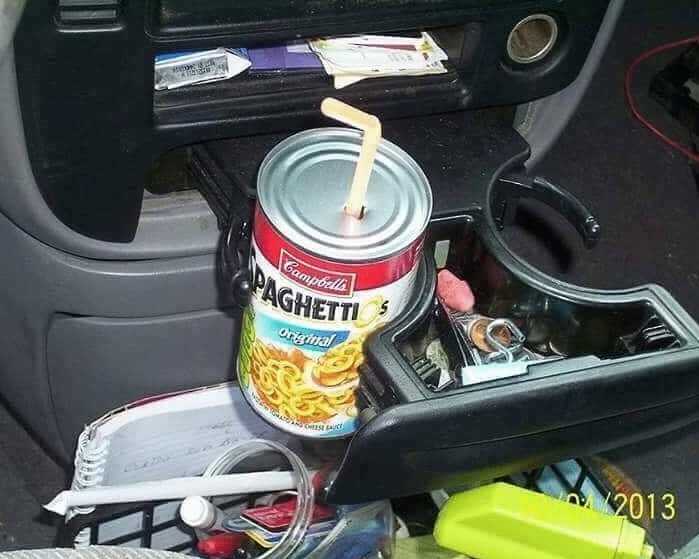 Not eating canned spaghetti with a straw is definitely one of those things! The DIY approach you see here would probably lead to poor results, because we are talking about spaghetti here! Just one piece would be enough to block that straw. We don’t imagine that the water inside that can would taste good to drink with a straw, either. A lot of people wonder why marketing specialists are highly paid. Well, this example will give you one of the answers why. 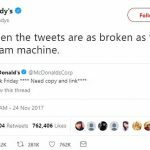 When you need to send a message to a wide audience, you need to make sure that it the best one! Even if you think you nailed it, you still might be wrong! 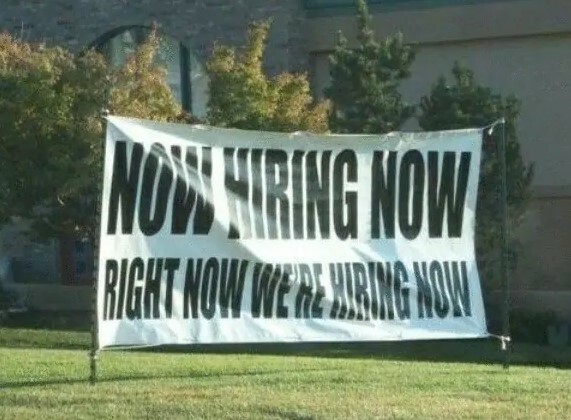 This sign is not very informative, because all you learn from it is that someone is hiring people very urgent. The position, the company and other details remain unknown. These are all essential things to mention, because a worthy candidate might miss the opportunity for a nice job. Well, unlike the previous example, the sign here says all you need to know. The problem is that you will probably not like the thing you need to do if you need to use that toilet. 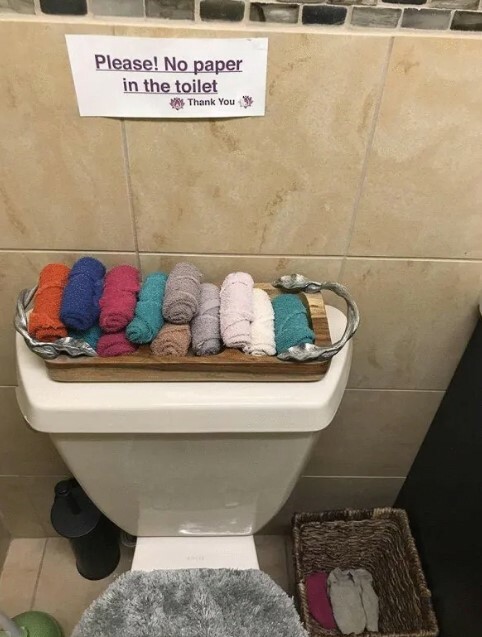 As you can see, the sign says not to use toilet paper. Maybe the toilet gets clogged easily, who knows. What matters is that these people want you to use a towel to wipe yourself! Imagine the smell when that basket is full! We would rather not use that toilet, because the solution they came up with is not okay. Sometimes a sign can be so informative that you immediately see why it was put there in the first place. The case here will give a good example of that! As you can see, someone decided to put a warning sign explaining that a swan roaming the area is really aggressive and you should stay away. The swan probably understood what happened and immediately tried to take down the warning. 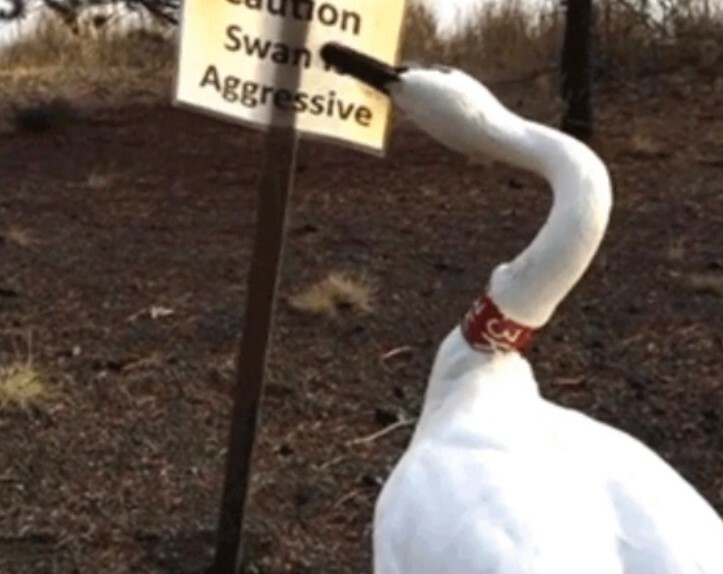 It seems that the warning was effective, but they should have put it somewhere out of the aggressive swan’s reach. The purpose of every attention or warning sign is to make people realize in advance that an immediate threat or danger lies ahead. Sometimes people put in so much time and effort to create something that simply would not do! Just check out this weird setup! We wondered what it might be. 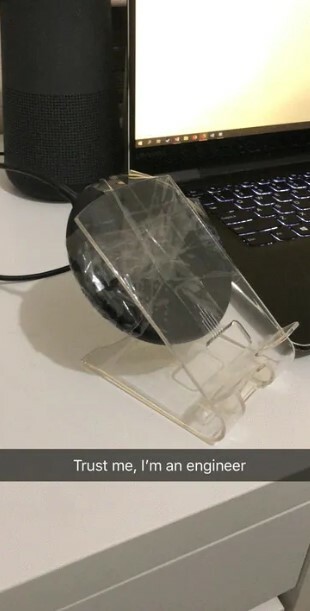 At first, we thought that someone decided to use their mouse in some weird way, but it seemed impossible. It later became clear that it was actually a wireless charger for a mobile device. We get what the idea here was, but we think that the whole thing does not look good or stable enough. Maybe this person had to create a sketch just to have an idea of the initial design. Some people seem to care about how a certain device works and neglect the appearance. Let’s just start by saying that stealing is wrong, no matter what the scale of the theft is. Kids would never understand that unless they are taught not to do it. This is a huge responsibility and every parent should take it. However, in some cases we need to admit that it is not that big of a deal, and in other cases it can even be impressive. As the post suggests, some kid had the weird habit of stealing coffee sugar packets and eating them outside. The tiny packets are given away for free with every cup of coffee or tea, so technically it is not a theft. What is interesting about this case is that this kid is a DIY genius and we think that his skills are amazing! 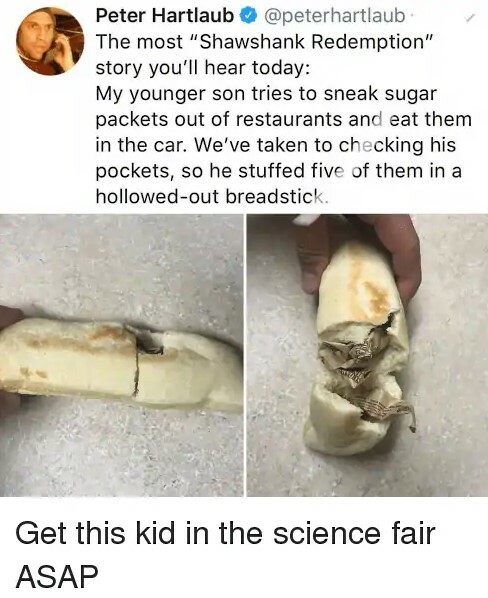 Being able to stuff five sugar packets in a bread stick and smuggling them out is definitely a thing to admire. We hope that the kid stays on the right path instead choosing a life of crime. We have said it before and we will say it again – customizing a vehicle is no easy task! In order to achieve a nice end result, you definitely need to follow and combine a lot of different factors. The category of the vehicle, the make and the model, the chosen style, the colors and many other details are of significant importance! 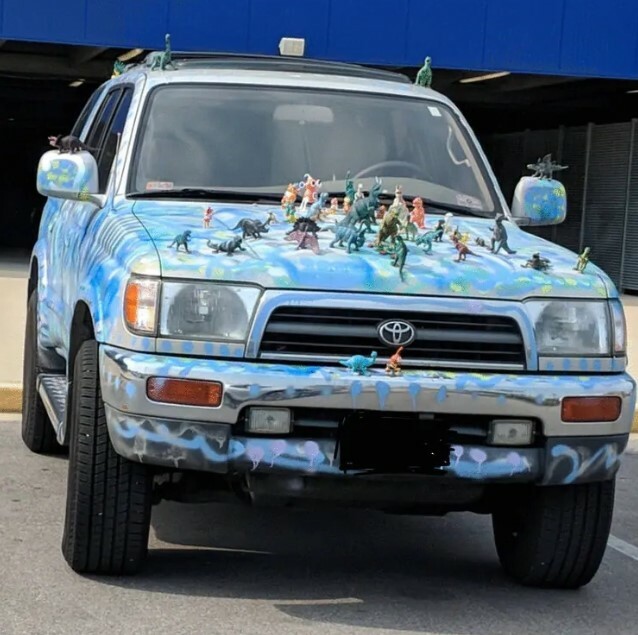 Of course, the personal touch makes a vehicle unique, but sticking a lot of dinosaur figurines on the body panels of an SUV is just too much. We wonder how this person washes the vehicle without knocking off the decoration.